Can I make pie like Avis Allen? Um, no. 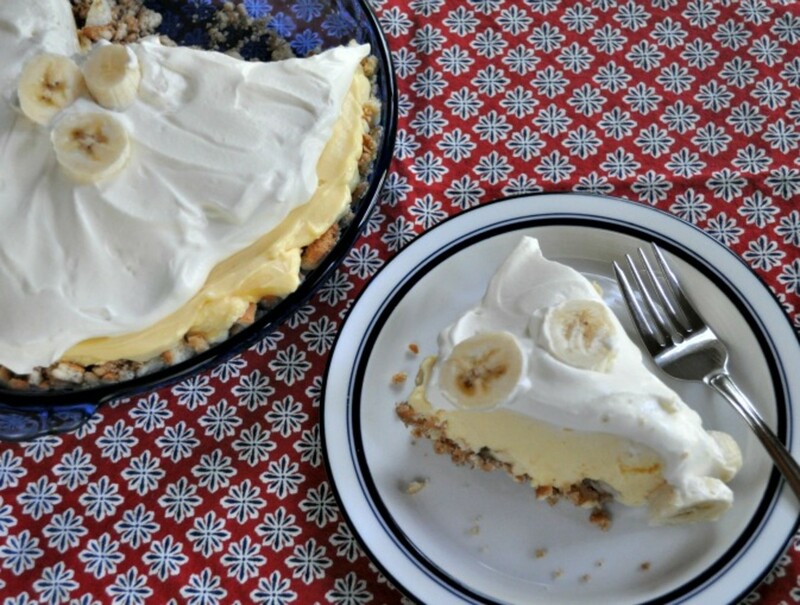 Then I tried this easy banana cream pie recipe and my husband has reminded at least three times to PLEASE keep this recipe in the file. He knows we have a lot of one-hit wonders at our house. Why is this a keeper? 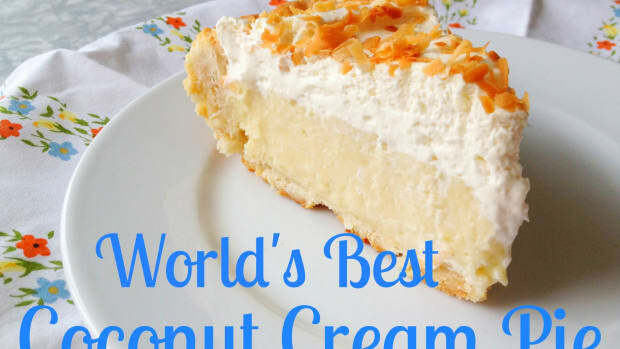 I skip the homemade pie crust and use Nilla Wafers and a little butter for a crumb crust. 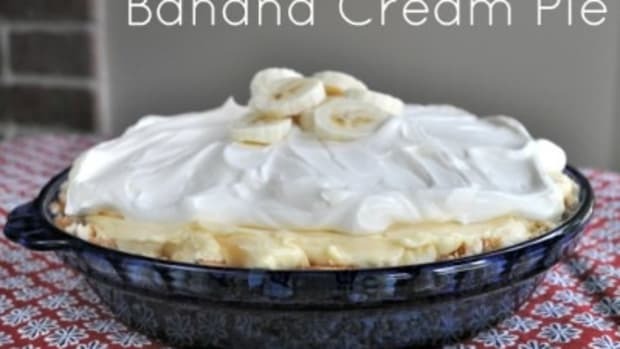 Then, rather make a true custard cream with sliced bananas, I make it ALL banana with instant banana pudding. Finally, this pie can stand up for itself, even in the face of a hot picnic. No Banana Cream Soup at my party! Hope you like it as much as we do. For the crust, crush the Nilla wafers in a blender until fine crumbs. In a small, microwave-safe bowl, melt the butter. 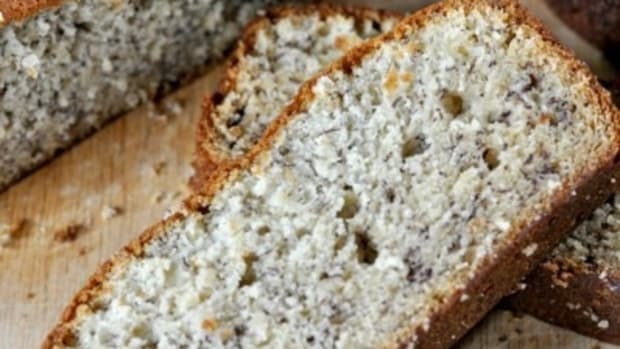 Add crumbs and blend with a fork. Pour mixture into a 10-inch pie dish. Press evenly across the bottom of the dish and up the sides. Place in the refrigerator to set. For the filling, in a large mixing bowl, whisk together the instant pudding mix, the water and the milk until smooth. Place in the refrigerator to chill. In small mixing bowl, whip 1 cup of the heavy whipping cream until soft peaks form. Remove pudding mixture from the refrigerator and fold in the heavy whipping cream. Return to fridge to set. In the same small mixing bowl, add the powdered sugar and the remaining cup of heavy whipping cream. Whip to soft peaks. 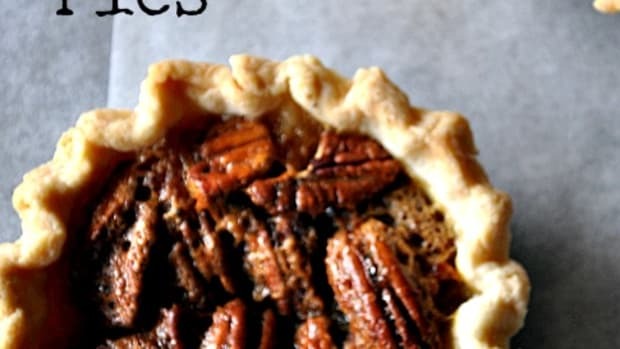 Assemble the pie by removing the crust and filling from the fridge. 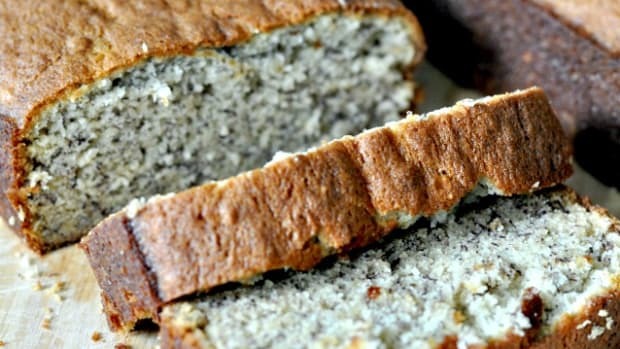 Cover the bottom of the crust with evenly sliced bananas. 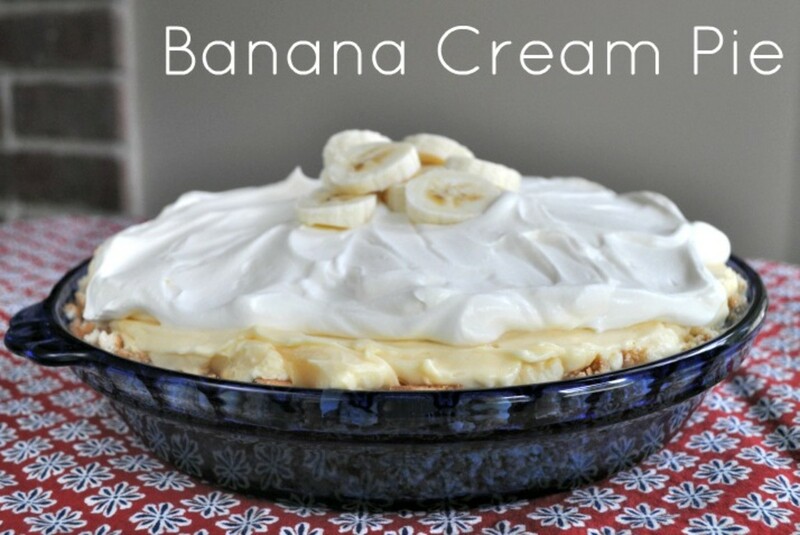 Cover the bananas with the filling and top with whipped cream. 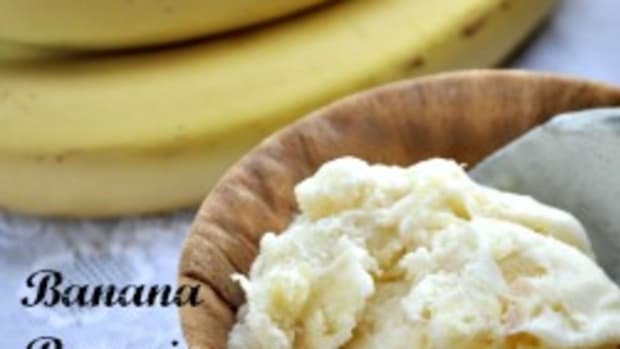 You can also create a middle layer of bananas by using only half of the filling, layering with banana slices, and covering with the remaining filling. Serves 8-10. Stores for up to one week in your fridge, covered, assuming you have leftovers. 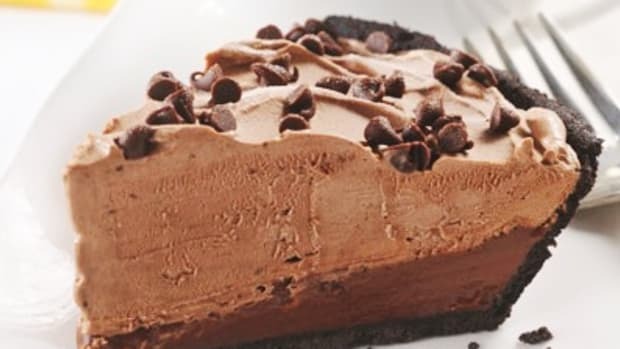 Cool off with one of these delicious frozen pies. 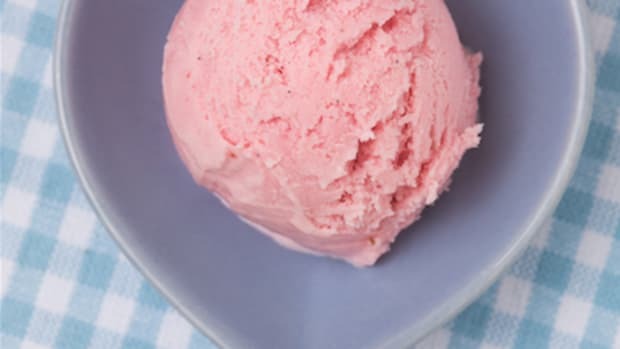 Easy to make, easy to store, and gone, gone gone!